"How much more would a few good and fervent men effect in the ministry than a multitude of lukewarm ones!" said Oecolampadius, the Swiss Reformer — a man who had been taught by experience, and who has recorded that experience for the benefit of other churches and other days. The mere multiplying of men calling themselves ministers of Christ will avail little. They may be but "cumberers of the ground." They may be like Achan, troubling the camp; or perhaps Jonah, raising the tempest. Even when sound in the faith, through unbelief, lukewarmness and slothful formality, they may do irreparable injury to the cause of Christ, freezing and withering up all spiritual life around them. The lukewarm ministry of one who is theoretically orthodox is often more extensively and fatally ruinous to souls than that of one grossly inconsistent or flagrantly heretical. "What man on earth is so pernicious a drone as an idle minister?" said Cecil. And Fletcher remarked well that "lukewarm pastors made careless Christians." Can the multiplication of such ministers, to whatever amount, be counted a blessing to a people? The fathers of the Scottish Church , acting upon this principle, preferred keeping a parish vacant to appointing over it an unsuitable pastor. And when the church of Christ, in all her denominations, returns to primitive example, and walking in apostolical footsteps seeks to be conformed more closely to inspired models, allowing nothing that pertains to earth to come between her and her living Head, then will she give more careful heed to see that the men to whom she entrusts the care of souls, however learned and able, should be yet more distinguished by their spirituality, zeal, faith and love. 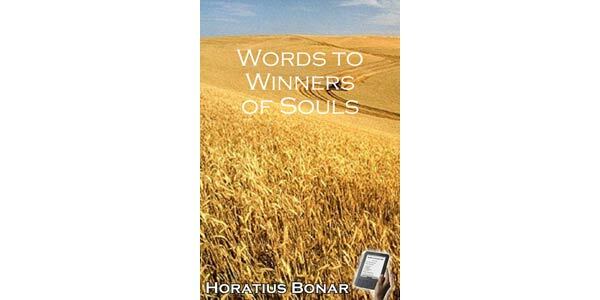 Horatius Bonar was born into a long line of ministers who have served a total of 364 years in the Church of Scotland. voluminous and highly popular author. He also served as the editor for "The Quarterly journal of Prophecy" from 1848 to 1873 and for the "Christian Treasury" from 1859 to 1879. 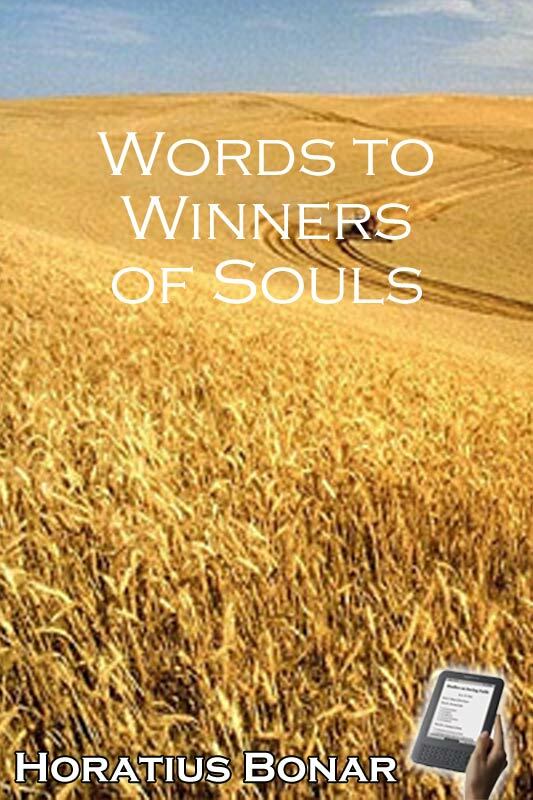 In addition to many books and tracts wrote a number of hymns, many of which, e.g., "I heard the voice of Jesus say" and "Blessing and Honor and Glory and Power," became known all over the English-speaking world.